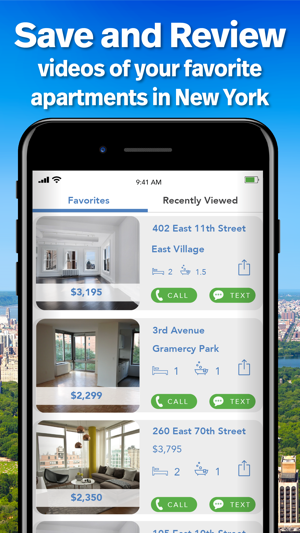 Explore your next apartment from your phone! Find no fee apartments for rent in New York and explore them in the detail and quality only video can provide. Replay Listings shows you 60 second videos of rental apartments in Manhattan, with the rest of New York coming soon! View thousands of apartments for rent in New York with the same ease as using social media. 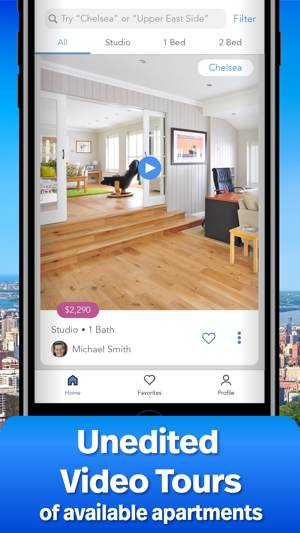 Get a truly authentic real estate experience and efficiently browse apartment listings by seeing them in their truest, raw form: video! • Watch uninterrupted 60 second videos showing off the apartments. No more pictures! • Scroll down to see the available listings. • "Like" your favorite apartments and review (or "Replay") them later! • Filter your results by Size, Location and Price. • Advertise apartments immediately from a user-friendly interface. • Easily record videos while you're previewing. • Get quality leads who know exactly what to expect from the apartment. • Browse through existing listings so you can easily co-broke. Find your next no fee Manhattan apartment with ease! Download now and get a true view of apartments near you! 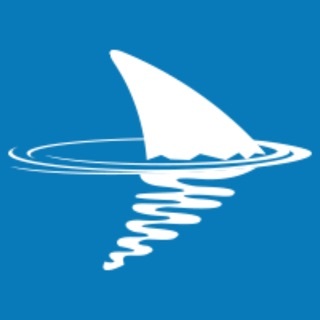 I cannot say enough great things about this app! It is easy to use and navigate through. Having been through the daunting and exhausting search for the perfect apartment, I remember how frustrated I would get when I’d see apartments in person that either weren’t the exact ones as portrayed in the photos, or edited certain ways to inaccurately portray them. Luckily, when I look to move in the near future, I can count on Replay Listings to show me exactly what I’m looking at, as it truly is! I highly recommend this app to anyone looking to find the perfect place to call home. 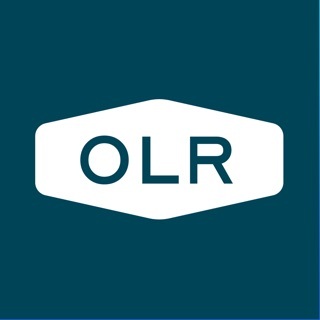 This is a great app for agents and for apartment seeking clients because you’re not seeing stock pictures or wide lens stretched out pictures of rooms. You’re taking a virtual tour of the premises and what you see is what you get. You’re getting a real clear idea of what you’re going to go view in person when you get there. Hence, saving everybody time and frustration. Honestly, it’s the best way to look for a apartment! I absolutely love this app. Clients are always asking for link to listings or more pictures of advertised listings. 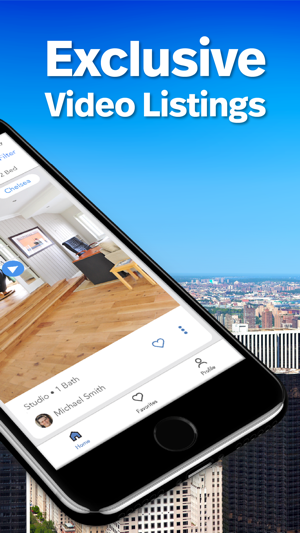 This amazing app gives agents a great tool for sending clients video of real apartment. Agents are also able to advertise great apartment as we show them with other clients in real time. This app is a win win for both clients and agents. 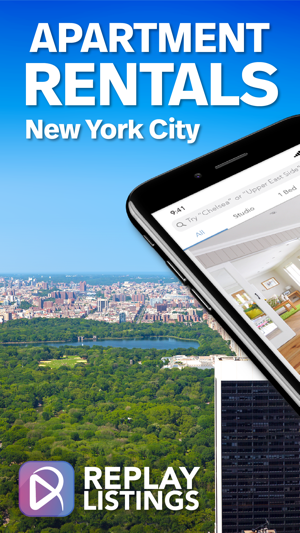 This app is definitely going to change the real estate game.